While New Zealand is often thought of as a land of abundant rainfall, the rain is not evenly spread. Much of the eastern South Island is in the rain shadow of the Southern Alps, so if farmers want to increase production they must irrigate their land. 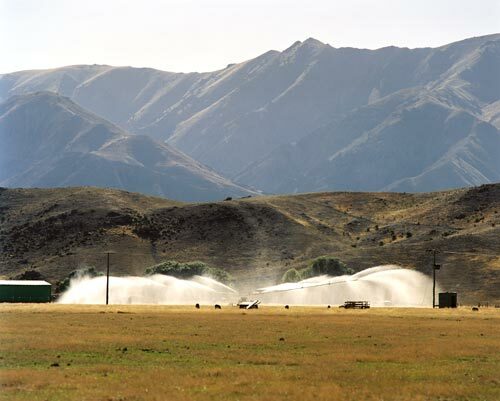 These fields being irrigated are near Ōmarama, in the Mackenzie Basin.